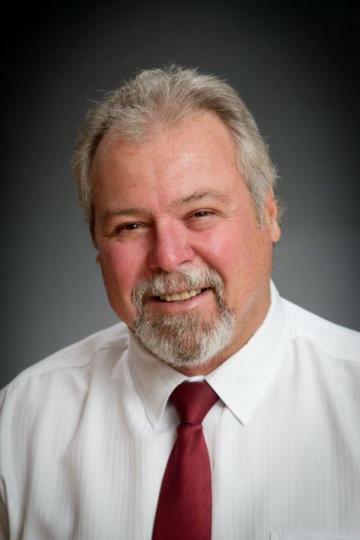 Well known throughout Maryborough and district, Steve boasts more than twenty three years local Real Estate experience. He prides himself on treating his clients the way he would expect members of his own family to be treated - with genuine honest representation and caring guidance. Steve is a great believer in Karma! Treat others well and with respect and life seems to flow well without complications. Testimony to this is the volume of repeat business that he has encountered during his Real Estate career. Purchasing a home is one of the biggest decisions you will make in your lifetime and it's important to get it right. Three Allotments – 114 Acres – Ten Minutes to City Conveniences! This lovely 4 bedroom home, situated at 24 Herrenberg Street, Aldershot, comes with loads of features. Ensuite to main bedroom, loads of air conditioning, solar power, massive main bathroom (suitable for wheel chair access), modern kitchen with walk-in pantry, separate dining room, spacious rear deck, workshop and separate 4 bay carport. The main living area is large and open plan. The covered front verandah ensures convenient access from the 4 bay carport in all weather conditions. This three bedroom home features tiled floors to main traffic areas and carpeted bedrooms, solar hot water and a spacious bathroom. The kitchen is modern with plenty of bench space. The large yard will suit those with a passion to garden. Full length front and rear verandahs, a two bay shed and good fencing. If it is a true alternate lifestyle you are chasing, this one ticks all the boxes. Situated on a very private, secluded peak just west of Maryborough, this property will appeal to those who want to run a few cows, grow a few vegetables, have their own supply of eggs and poultry and pay no electricity or water bills. This place comes with its own solar battery storage system, complete with diesel generator backup. To arrange an inspection of this property contact Steve Anderson on 0417 009 790. This fenced 10 acre block is just the place to bring the horses, build your dream home and sit out on the deck and watch your livestock graze. With strand fencing and a cross over in place, this block features undulating terrain with excellent high ground for your home plus great catchment area. Plenty of natural grass mixed with an assortment of improved pasture. This block is only a short drive to the heart of Maryborough and is very competitively priced at $199,000. Situated on Langer Road, Bidwill, just past the turnoff to Little Tinana Estate, this elevated and gently sloping block features a lovely rural outlook and is only ten minutes to the city centre. The block boasts a great homesite and plenty of good soil to establish your gardens. An access cross-over is already in place. For additional information contact Steve Anderson on 0717009790. Do you love your fishing? Do you need plenty of room for a generous home and sheds? If so, then 13 Sanderling Drive, Boonooroo may just be what you are looking for as it is located less than three minutes to one of the best boat ramps and launch facilities in the Sandy Straits. This 2,045m2 block is level with an excellent crossover in place and is surrounded by quality homes. If you are considering a seaside lifestyle, this allotment has plenty to offer. Contact Steve Anderson on 0417 009 790 for further information. This three bedroom home is positioned in a no-through street in Tinana Greens Estate. Positioned on an elevated allotment, within easy walking distance to shops, school and tavern. Features include:- three bedrooms, the main with walk-in robe and ensuite and air-conditioning. The open plan lounge, dining and kitchen are also air-conditioned. A modern timber kitchen with large pantry will please the most fastidious of chefs. Beautiful ultra-modern, light filled home on a 5 acre corner allotment less than 15 minutes from the CBD. This spacious, open plan three bedroom home is generous in all respects. The main bedroom comes with large walk-in robe and a unique ensuite with walk-in shower. Fully dog fenced this property will appeal to purchasers that would like to run a couple of sheep, horses or just need a private existence. The present owners grow and roast their own coffee. This quality built home on just over half an acre is a great buy at the asking price of $445,000.00. Features include:- Air conditioning, main bedroom with large walk through robe and spacious ensuite, high ceilings, modern kitchen with generous walk-in pantry and quality appliances. The three additional bedrooms are also spacious and have built in cupboards. To keep the family chariots secure a double garage with direct internal access is attached to the home. Throw a crab pot in or sit and fish for a barra or threadfin from your backyard as this property offers great river access. 51 La Frantz Drive, Tinana is being offered for sale for the very realistic price of $385,000.00. Downstairs features a large tiled family/pool room, laundry, shower and toilet plus 2 car accommodation. The side and rear yard are well fenced to keep children and pets safe. There is excellent access to the back yard and a carport to keep the boat under cover. This three bedroom, highset home at 11 Eva Street will not disappoint from its full length front verandah to the double car lock-up under. With loads of workshop space and additional storage/hobby room. The home itself has been very well maintained with paintwork and floor coverings in great condition. Rear lane access to the backyard and two bay shed allows for a couple of extra vehicles to be securely stored. Conveniently located within easy walk to school, shops and tavern, this 4 bedroom hardiplank home is great buying. It comes complete with a lined man cave with its own bar. With plenty of room to house 5 vehicles, and a securely fenced yard, it would be hard to find better value. The main bedroom and family areas are spacious and air-conditioned. The semi-modern kitchen is complete with dishwasher and loads of space for a big fridge. Plenty of ceiling fans and security screens. This 174 hectare property is bounded by forestry. Very private and very comfortable. Plenty of water from 4 large dams and numerous smaller water holes. All boundaries are fully fenced. Low maintenance, hardwood clad, 3 bedroom cottage with wide wrap around decks. Great barn with loads of storage and workshop space. Solid mezzanine for hay storage and a solid set of yards. Contact Steve Anderson on 0417 009 790 to inspect. Imagine living in your own personal rainforest. This glorious property could easily become a B&B or a venue for weddings etc. Nestled among almost 3 acres of lush gardens, and long established trees, overlooking a generous central lake and hidden away from the world, this 5 bedroom home with separate guest quarters/pool room wants for nothing. The entry is graced with beautiful lead light features and an impressive stairway. To inspect contact Steve Anderson on 0417 009 790.